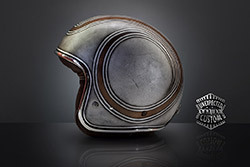 The feature of the design Racer no.2 is the extreme cleanliness and simplicity: a simple thread that runs along the volume of the object, emphasizing the shape. 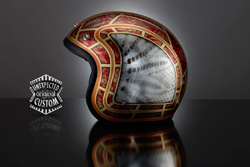 This artistic intervention can be developed by combining one or more lines of varying thickness and, thank to the use of our special colors for stained glass, create an infinity of shades, nuances, colors and textures. 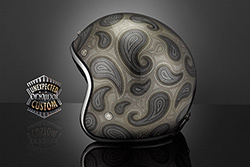 We can always create new and suggestive colors stratifying different glazes on our metal leafs backgrounds. 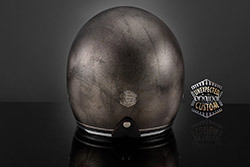 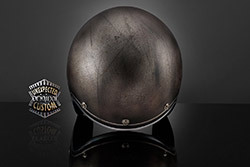 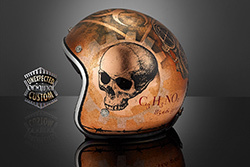 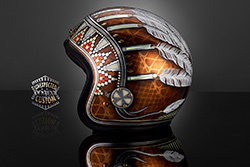 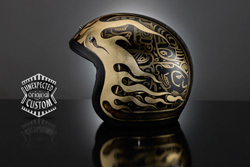 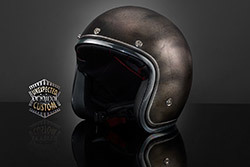 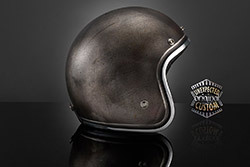 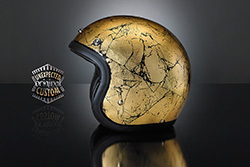 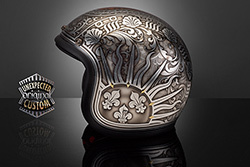 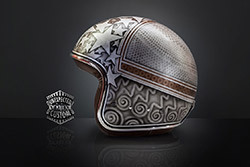 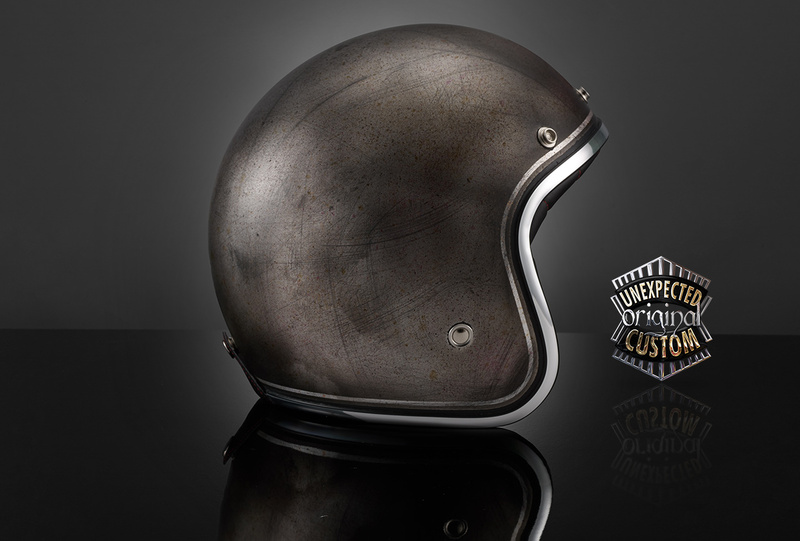 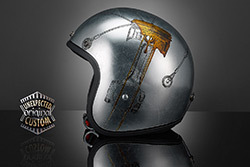 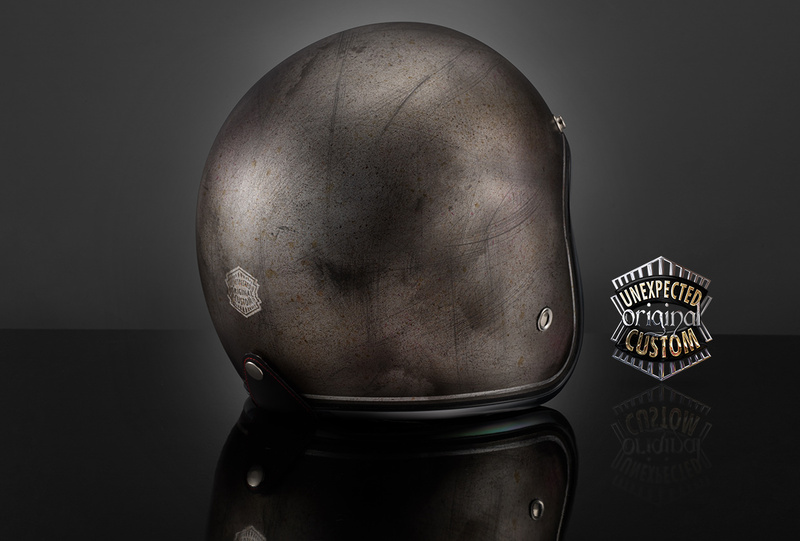 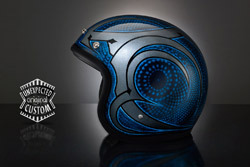 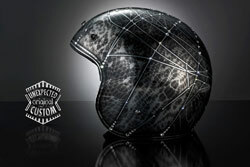 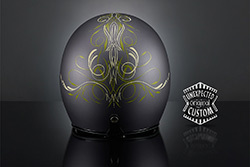 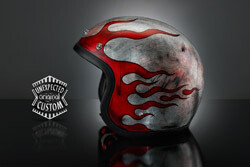 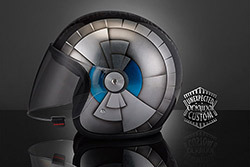 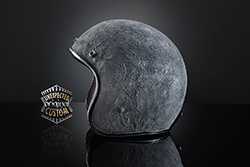 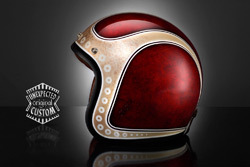 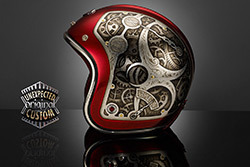 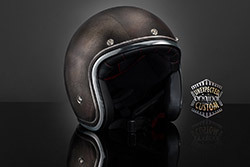 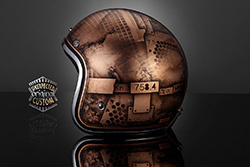 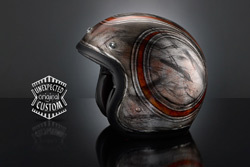 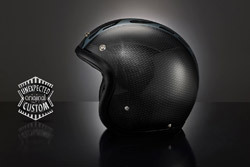 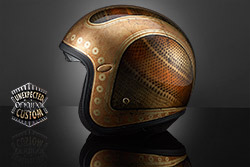 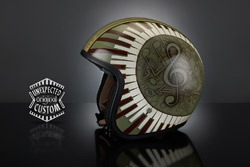 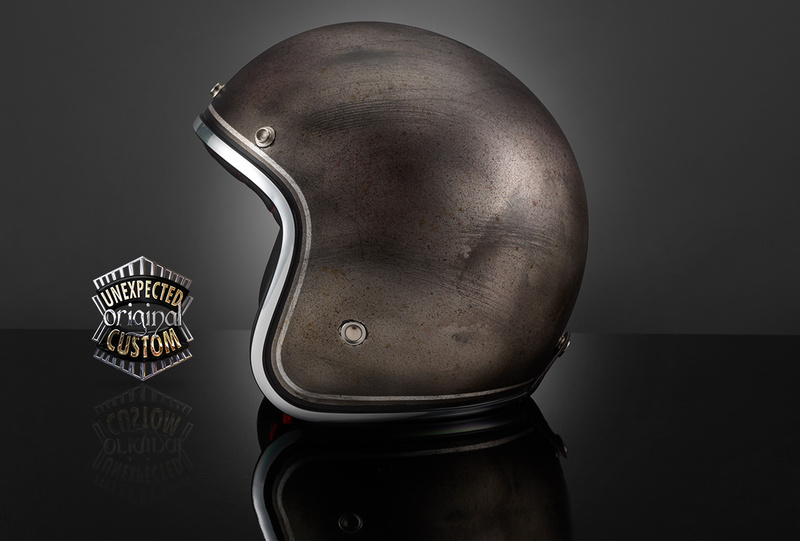 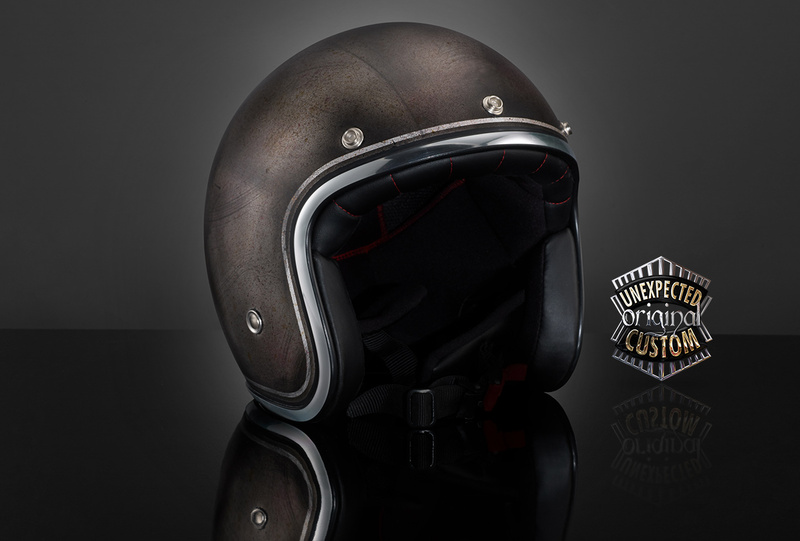 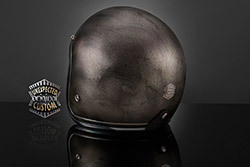 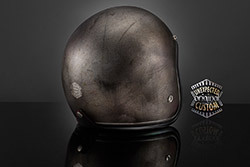 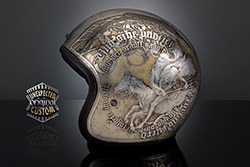 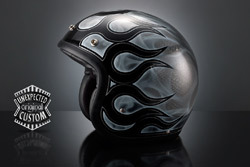 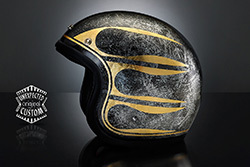 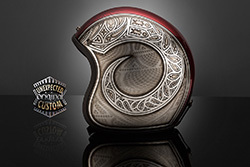 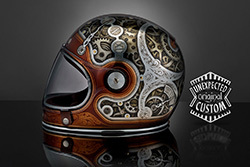 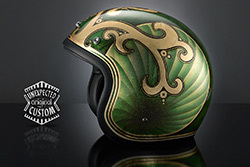 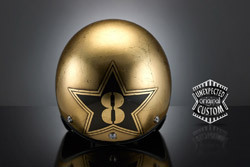 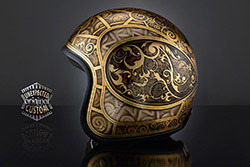 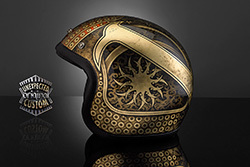 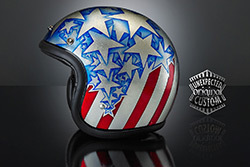 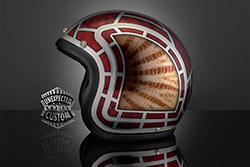 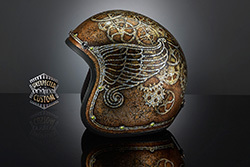 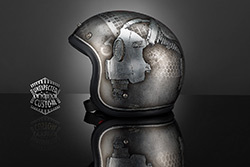 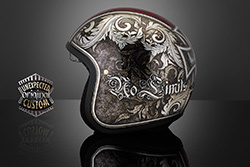 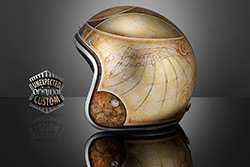 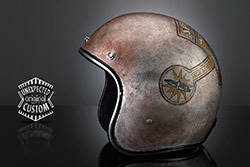 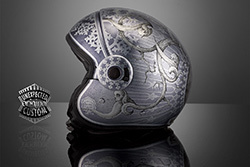 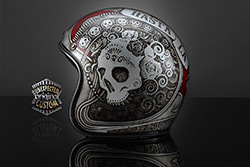 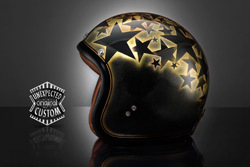 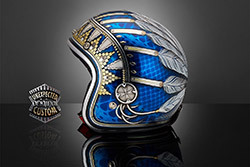 The elegant design of this helmet was made by a delicate black veiling on silver leaf in "rusted metal" effect . 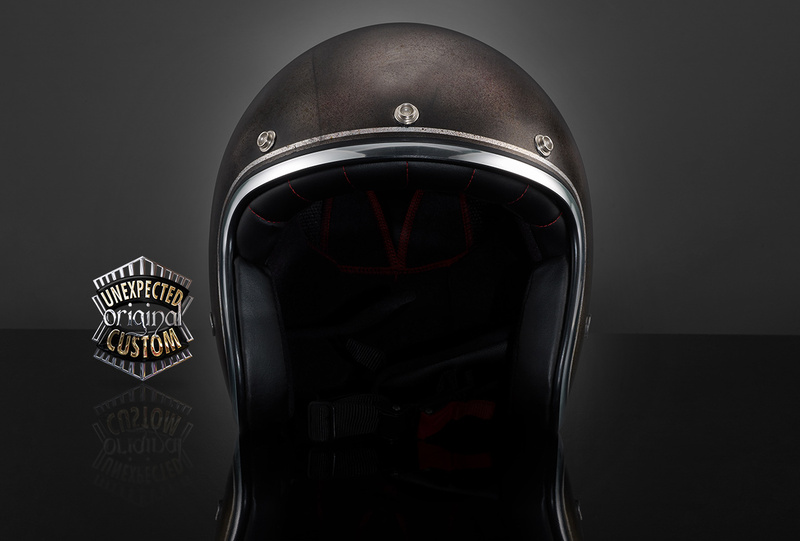 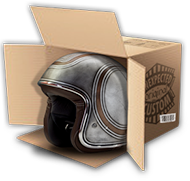 For the black colors lovers this is an attractive alternative to the "all-black": the final aesthetic impact is a "gunmetal" helmet.